The Lazy Egg will go on your adventure, but you have to carry him! He may not try hard, but he'll help you keep your belongings close. 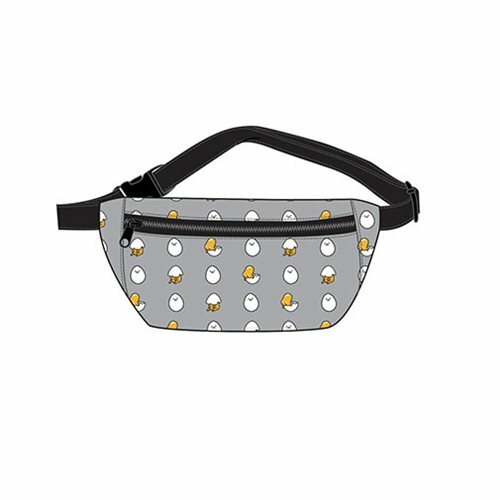 This Gudetama Eggs Print Nylon Fanny Pack is made of nylon with printed details. It measures approximately 7 3/4-inches x 6 1/4-inches x 2-inches.